Despite the name, 'Refried Beans' are not fried! They are made from hearty Pinto Beans, blended together with Mexican spices to create a delicious paste. Combine with salsa, spread on tortillas or add to Burritos and Tacos for a different texture and delicious flavour. 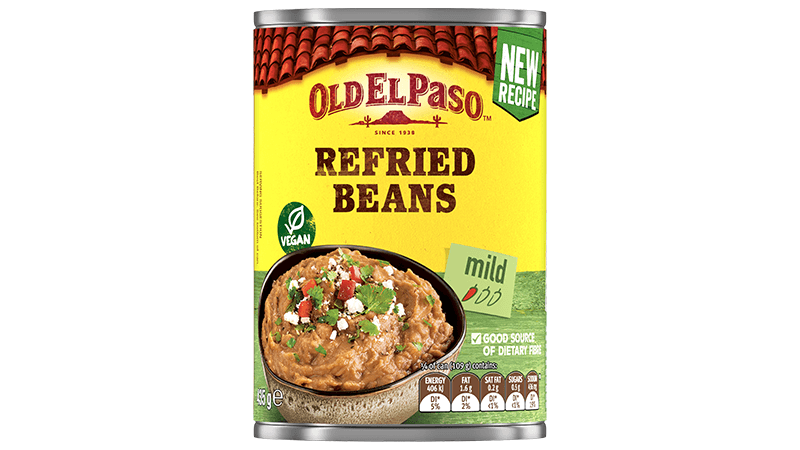 Refried Beans are also a great vegetarian alternative.